Coast Reeva Jersey Lace Maxi Dress is rated 5.0 out of 5 by 1. 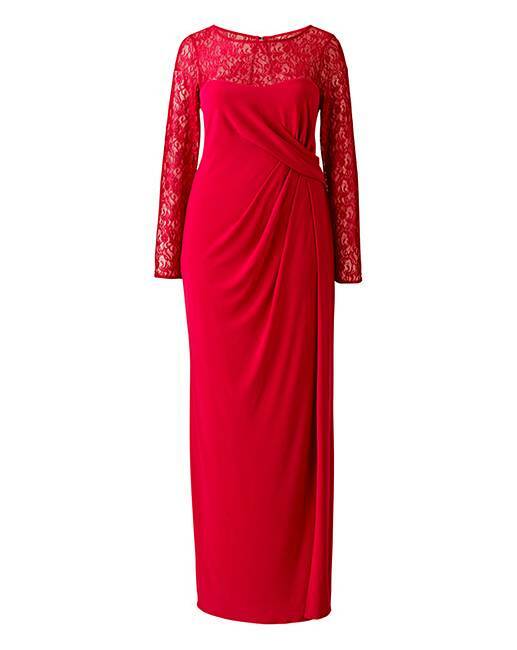 A gorgeous maxi dress draped to fit and flatter the feminine figure. 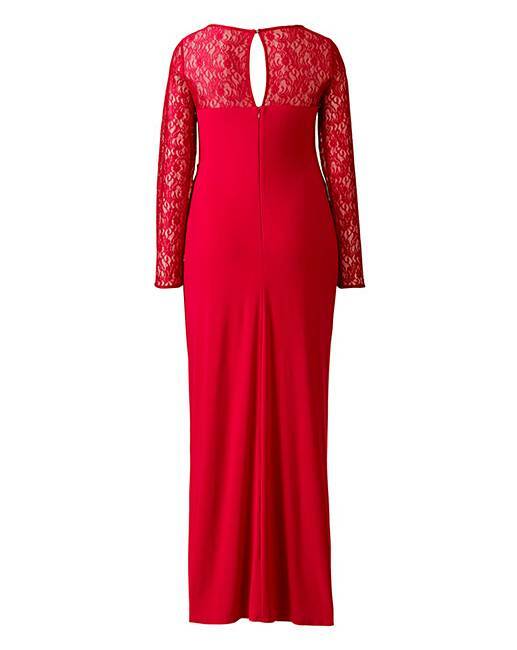 The Reeva Lace Jersey Maxi features romantic lace against a feminine sweetheart neckline. The dress features full-length lace sleeves and a side split in the skirt for effortless movement. The back features an alluring keyhole design, a button to the nape and a concealed zip. 93% Polyester, 7% Elastane. Contrast 91% Nylon, 9% Elastane. Lining: Polyester. Rated 5 out of 5 by Klmx from Classy, perfect This dress is comfortable, good length in sleeves!